From Tuesday afternoon we are seeing that Indian media has launched a massive propaganda against Pakistan Army that Pakistan Army attacked Indian Soldiers and killed two of them by going to other side of Line of Control in Occupied Kashmir. Indian Media is also claiming that bodies of these Indian soldiers where Mutilation by Pakistani Soldiers and Pakistani soldiers also taken the weapons of Indian soldiers with themselves after the attack. Pakistan army has denied this Allegation of Indian Government. 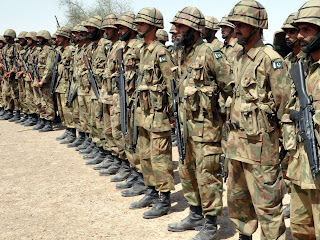 Spokesman of Pakistan Army has said that no such attack was done on LOC by Pakistan Army. India has blamed Pakistan two days after an similar attack on Sunday by Indian troops on LOC in which one Pakistani soldier was martyred and another was injured. that incident taken place in the Haji Pir Sector.